I went searching for a new Lenten reading guide that was more than just “here’s-a-verse-and-a-nice-thought.” I wanted something that caught my eye, that brought a sense of the Holy into its reflections, and that caused me to consider more thoughtfully the Passion Story. I don’t know about you, but that pretty much captures a spiritual need that is frequently ignored by the world, and glossed over by the Church. After all, if we are living in a struggle and a world of pain, what difference does our faith make? When we sing “Victory in Jesus” and we feel like a defeated mess, where’s the joy and peace that everyone talks about at Christmas? The book is designed to provide a guided reading of Scripture with stories, art, poetry and prayers. The book contains beautiful imagery and personal stories. It invites you to wander slowly, LENTE, through its pages. Just sitting and gazing that the various artists was a feast in itself! They represented centuries of the faithful, giving their creative touch to the biblical story. The Scripture quotations were from a variety of translations, which sometimes was a bit disjointed in terms of language style from week to week. However, I can appreciate the various translations and the spectrum of faith traditions and practices that they represent (NIV, NASB, RSV, NRSV, NJB, KJV and The Message). 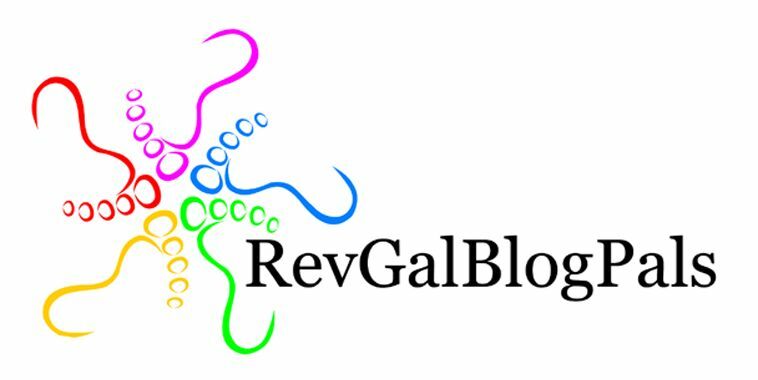 Each week has its own author, representing a broad spectrum within Christendom: Richard Rohr, Laren Winner, Scott Cairns, James Schapp, Luci Shaw, and Kathleen Norris. The background on Feasts and Fasts was written by Beth Bevis. I am grateful for their faith, their giftedness, and for the beauty of this volume. And I can’t wait to read it in more detail in the coming weeks! 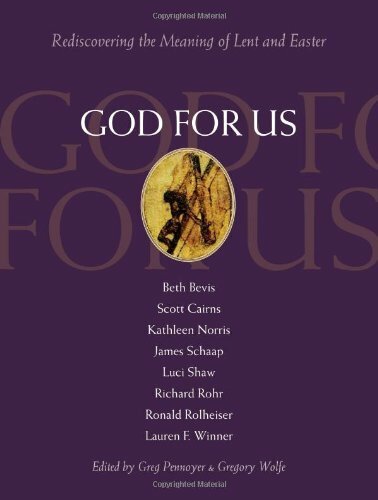 God For Us: Rediscovering the Meaning of Lent and Easter, Edited by Greg Pennoyer and Gregory Wolfe. Published by Paraclete Press, Brewster, Massachusetts. (c) 2014.